Ready, set, GO!! 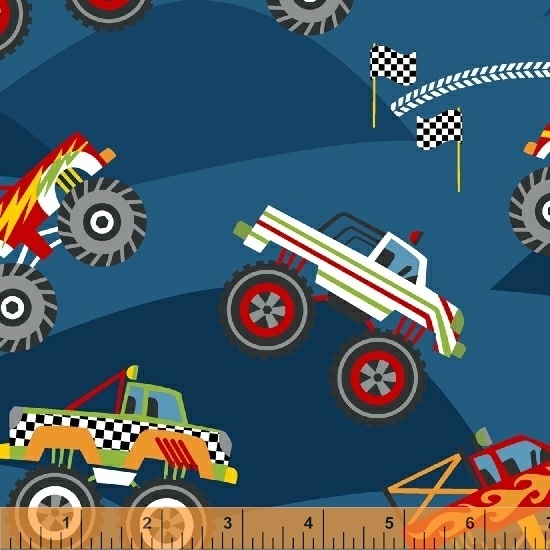 Monster Trucks is a turbo charged collection for those who love gravity defying stunts and adrenaline pumping action. With flames, mud racing trucks, stars, tire tracks and a classic check print, you have all youll need for a champion truck racing quilt, pillowcase or accessory. On Sale: January 2019. Ships: May 2019. 18 skus.